The easiest way to mine Bitcoin, Ethereum, Litecoin, Dogecoin, Dash, Zcash, BitShares, CureCoin, Monero, Factom, and Bytecoin. "I love this EOBOT website." I use it daily to add my winnings in MinerGate, get rewards with the Faucet and make cryptocurrency exchanges that MinerGate does not support. is one of the pages that offers services of mining in the most veteran cloud of the criptomercado, through its platform they have algorithms SHA256 and Scrypt that are executed by means of equipment Antminer. You can use it as a faucet by entering once a day: it gives you the coin you choose or a small increase in your mining power. You can "mine" your own mining power to increase it steadily. You can buy collaboration power with the SETI program. You can buy collaboration power in disease research. It is necessary to give a clarification that would be for improvement: by increasing recently the difficulty of mining, the yields of this page (and those of all, I suppose) have fallen markedly. In the same way the price of the power of mining has descended. However, as the bitcoin price remained very low, the decrease in performance was not offset by an increase in the value of the currencies, jeopardizing the profitability of the platform (since they do apply maintenance and electricity costs). On previous occasions to resolve the situation have chosen to renew the hardware. 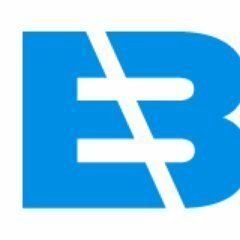 Perhaps with the "green shoots" of today (rise of the BTC) the situation loses drama but if someone gets curious about EOBOT, they know that this must be taken into account. For my part and since I have only invested free resources in it I do not have too much trouble ... Although I prefer that it does not fall, of course. Currently maintenance costs absorb 88% of the mine, so the term to recover the investment has increased. Although since the contracts were extended from 5 to 10 years, it continues to compensate, it is a long time and of course the risk of a closure is always present. I consider that Eobot is a slow mining site but it is a veteran and continues to pay since 2013 and she has never stopped paying as the saying goes slowly but surely your investment will take place in a period of 7 to 8 months .. This is a multi-threaded multi-pool FPGA and ASIC miner for bitcoin. NiceHash is based on the concept of a sharing economy by connecting sellers and buyers of computing power from all over the world. Can mine ALL CryptoNight coins Clean interface OLED Friendly Mode. AIOMiner uses the power of WhatToMine.com to make sure you are always mining the most profitable coin for your setup. Awesome Miner is a Windows application for managing and monitoring mining of Bitcoin and many other crypto currencies. Previously the DroidBTC Bitcoin Miner, this is a Bitcoin, Litecoin, and Dogecoin miner for Android, based on Simran Singh's AndLTC Miner ( https://play.google.com/store/apps/details?id=com.simran.andltcminerpro ) and pooler's cpuminer ( https://github.com/pooler/cpuminer ). Stratum compatibility has been added in version 1.2. This will mine all cryptocurrencies that use SHA-256 or scrypt, which include Bitcoin, Litecoin, Feathercoin, and Dogecoin, among others. Easily mine the most profitable crypto currencies, and get paid in USD, Bitcoin or Ethereum. * We monitor all EOBot reviews to prevent fraudulent reviews and keep review quality high. We do not post reviews by company employees or direct competitors. Validated reviews require the user to submit a screenshot of the product containing their user ID, in order to verify a user is an actual user of the product. Hi there! Are you looking to implement a solution like EOBot?